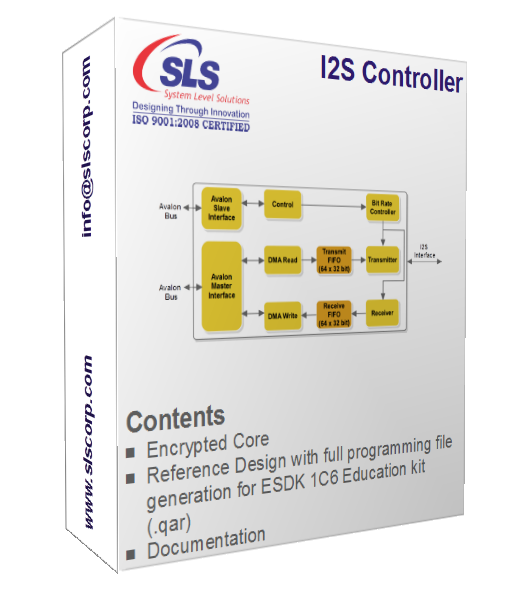 I²S Controller is designed to transfer audio data to and from Audio codec. It can be configured as both Master and Slave mode using software. The I²S IP is Phillips Inter IC Sound (I²S) specification compliant core for Altera devices. I²S IP Core functionality is tested on NEEK kit.